Oct. 13, 2015, 6:19 a.m. The proposed 40-year national development plan will seek major land reforms in Ghana as one of the main factors expected to drive the plan.According to Dr Isaac Mensa-Bonsu of the National Development Planning Commission (NDPC), a national land use policy which would inspire maximisation of land and land resources would be one of the key drivers for the success of the 40-year National Development Plan. Speaking in Wa the Upper West regional consultation forum organised by the NDPC to solicit opinions from various groups, Dr Mensa-Bonsu said the nation would also require a change in attitude among the citizenry to reach the goals of the plan and reap the required reward from it. 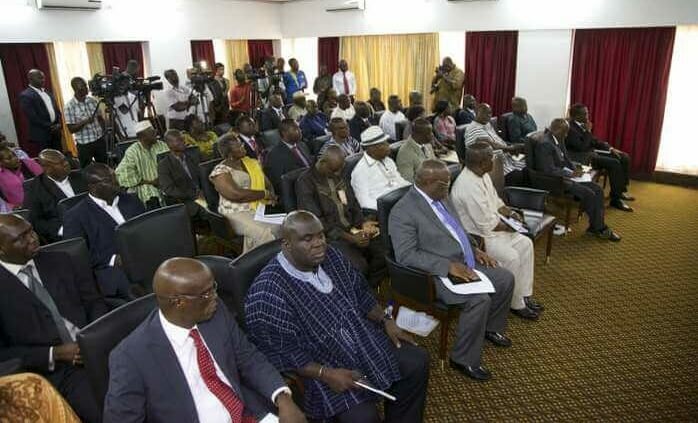 The NDPC is currently consulting various stakeholders, including students, professional bodies, non-governmental organisations, political parties, faith-based organisations, traditional rulers and other identifiable groupings to solicit opinions and technical views towards the formulation and implementation of Ghana's first long-term development plan since the 25-year Vision 2020 of 1996 was truncated in 2001 and replaced by various medium-term policy frameworks. The proposed plan was triggered by the Constitution Review Commission's report which devoted space for the consistent appeal from the public for a long-tern national development plan. Dr Mensah-Bonsu, who is also the Director of the Plan Coordination Division of the NDPC, said the plan would also be hinged on human capital development, public sector reforms/modification, infrastructure (with immediate priority on energy), and science, technology and innovation to ensure a holistic transformation of the nation. The President has tasked the NDPC to lead the formulation of the 40-year plan to chart Ghana's path to sustained development and self-sufficiency across the various sectors of the economy and society. The plan, when formulated, would span 2018 to 2057 - when Ghana would mark 100 years since independence. Dr Mensah-Bonsu said Ghana's 60th independence anniversary in 2017 would mark a time for "celebration, reflection and to prepare for the future ahead" and a good time to trigger the long-term development plan. 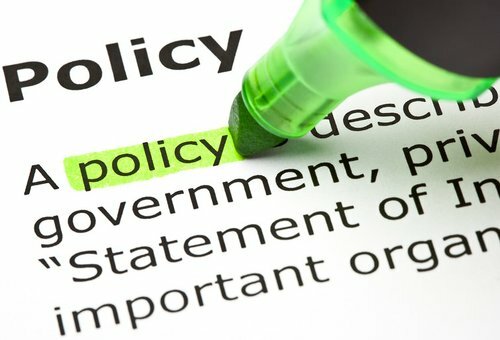 The plan, he said, would take into account other long-term international frameworks, notably the African Union's Agenda 2063 and the United Nations' 15-year Sustainable Development Goals (2016-2030) - both of which Ghana is championing - to keep Ghana's focus without deviating from shared internationally agreed development plans. Besides these, he said the plan would be woven into the existing 30-year National Infrastructure Plan and the 20-year Spatial Development Framework in order not to abandon useful elaborate programmes, but to firm them into the long-term project of developing Ghana's holistic building plan. The entire plan would be segmented into four-year programmes in 10 phases, with an evaluation plan after every 10 years starting from 2027. 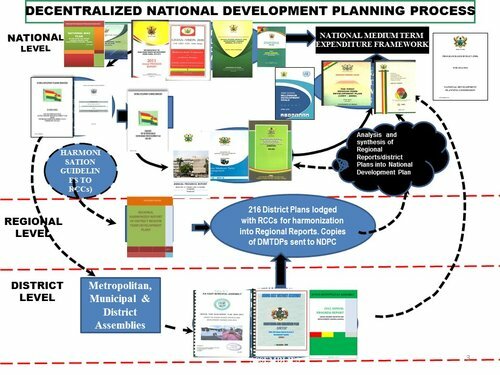 The NDPC - which will monitor the operational plan through its annual progress reports - expects the constitutionally mandated annual state-of-the-nation address to discuss the progress of the implementation of the plan. The deputy Minister of the Upper West Region, Dr Mohammed Musheibu Alfa, lamented the unfortunate culture that had led to the truncation of many development plans, stressing that "such disappointments have been largely associated with the absence of a long-term development plan and the general lack of ownership of the national development process".He argued that the situation had resulted in an unplanned development of the country. He said while even short-term and medium-term plans were important for managing the national economy, "they play their transformative role in national development well only when they are situated within the context of a long-term national plan". He said the nation must, therefore, "have a long-term national plan that will ensure a continuous and orderly development". In a recorded video message, the Chairman of the NDPC, Prof. Kwesi Botchway, encouraged the society to participate in the fora being organised by the NDPC to have a say in the development of the nation.